ResearchersLinks Ltd is an academic open-access publisher and is registered in England and Wales, United Kingdom under Company Registration No: 08492932. The company infrastructure and major management are based in the UK, however, we do receive services from developing countries, for example, manuscript formatting and website maintenance whilst still under quality control of British standards. This model has been adapted primarily to provide an economical platform to the scientific community and to facilitate the research dissemination in the most cost-effective manner possible. ResearchersLinks publishes 10 peer-reviewed, scientific, open-access, electronic and print journals, which are supported by 5 research societies and academic institutions. Until December 2017, more than 1000 articles and 4 books have been published. Publishing activities of ResearchersLinks are supported by more than 5,000 active researchers in our author, reviewers and international editorial boards databases. •	We are equipped with highly professional and advanced tools and resources. •	Dedicated and fully trained editorial staff. •	We offer shortest, yet rigorously peer-reviewed, editorial process. •	We hold infrastructure and in-house competence to manage journals of all sizes – from single journal to a corporate. •	Contents published by ResearchersLinks are highly visible, individually handled and fully optimized and compatible with major indexing services. •	Dynamic publications (PDF, ePUB, HTML, eFLIP) with links to social media, real-time progress and impact. •	Our entire editorial workflow is managed in Manuscript Handler, which provides easy, scalable and integrated solution to all steps of publication – submission to production. •	Our all efforts to rely on our in-house built tools are to provide economical yet professional solutions to scholarly publications in this competitive world of publishing. What would you get joining ResearchersLinks? Joining ResearchersLinks offers a fully customized, journal-specific, scalable and dynamic online support to not only publish future contents but also to transfer your existing metadata, files and repositories, alleviating your existing IT financial burden and shortcomings. Using our in-house developed professional publishing tools; we provide“All-in-One” solution to all editorial activities ranging from manuscript submission to final publication and all steps in between. Our dedicated Editorial Managers and staff will deals administrative and technical tasks and communicate with authors, reviewers and marketing contacts while allowing editors to focus on quality and standard of publications. Our publishing platform is interlinked with a number of services, including TrendMD, CrossRef, and CiteULike to enhance networking, citation and impact of your journal. The current management of the journal owns and retains all journal-associated copyrights and ownerships. Through this collaboration, ResearchersLinks provide supports to run journal professionally and effectively on your behalf. Our publishing platform is fully compatible and automated with DOI (Digital Object Identifier). This service and additional in-house developed tools allow us to generate metadata that is compatible with indexing services including DOAJ PubMed, Web of Science™ suite of indexes, Scopus, PubMed. These services not only enhance the readability and accessibilities but also citation and impact of your journal. We have been promoting our journals on different events including conferences, meetings and seminars. We will identify on-going journal-related conferences either held in our platform or others and sponsor as media partners and distribute flyer and brochures. We circulate bi-annual newsletters to targeted audiences who have signed up electronically through our website and have shown interests for a specific journal or general contents. 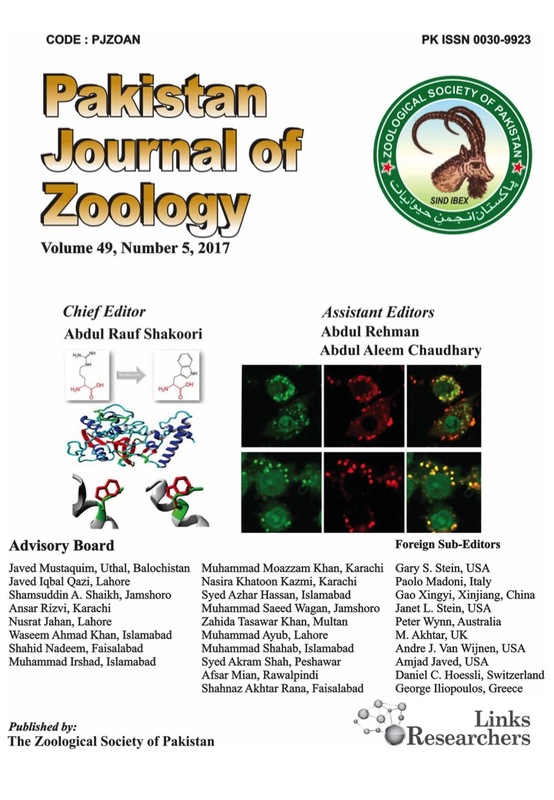 All released issues are communicated to all interested stakeholders and feedback is composed and fed to the journal management to provide insights in journal growth and promotion. Our published contents are compatible with international parsing and indexing services that enhances its unlimited accessibility. Owing to high accessibility and compatibilities, our contents are highly visible on social and academic media. Although we offer set tools of sponsorship and collaboration, we are open to discuss and accommodation any specific needs of the journal. How to Initiate This Collaboration?